New study in the Journal of Population Economics reveals: Informal job search comes with a significant wage penalty! New study in the Journal of Population Economics reveals: Informal job search comes with a significant wage penalty! New study in the Journal of Population Economics reveals: Informal job search comes with a significant wage penalty! Informal search for jobs is typically for migrants around the world. Rural migrants in urban China also use largely informal methods. 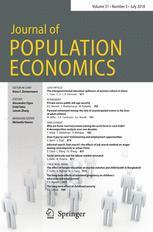 A new study in the Journal of Population Economics, the leading academic outlet in the field of population economics, is now establishing a significant wage penalty for those migrant workers who have conducted their search through informal channels, despite their popularity. The authors are Yuanyuan Chen (Shanghai University of Finance and Economics), Le Wang (University of Oklahoma) & Min Zhang (East China Normal University). Wang is also a Fellow of the Global Labor Organization (GLO), an international organization that supports academic international exchange and the work of the Journal of Population Economics. 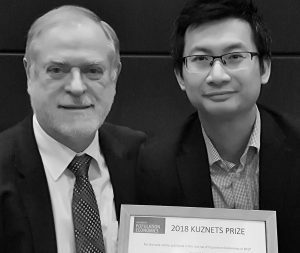 Wang had been recently awarded the prestigious Kuznets Prize 2018 of the Journal of Population Economics for his 2017 article in the Journal with Chunbei Wang on the economic effects of marriage delays. See also the interview on the prize paper. The use of informal job search method is prevalent in many countries. There is, however, no consensus in the literature on whether it actually matters for wages, and if it does, what are the underlying mechanisms. We empirically examine these issues specifically for rural migrants in urban China, a country where one of the largest domestic migration in human history has occurred over the past decades. We find that there exists a significant wage penalty for those migrant workers who have conducted their search through informal channels, despite their popularity. Our further analysis suggests two potential reasons for the wage penalty: (1) the informal job search sends a negative signal (of workers’ inability to successfully find a job in a competitive market) to potential employers, resulting in lower wages, and (2) there exists a trade-off between wages and search efficiency for quicker entry into local labor market. We also find some evidence that the informal job search may lead to low-skilled jobs with lower wages. We do not find strong evidence supporting alternative explanations.